Isn’t “Damage in US dollars” also related to the value or buying power of a US Dolllar? The Fed has been printing money hand over fist over the last three years, who knows what a dollar will buy in the future? Was the value of a US dollar included in those models? 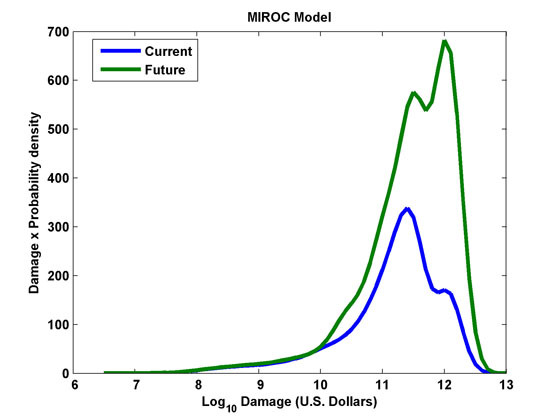 Klem, the “US Dollar” in the World Bank paper (Mendelsohn et al.) does not involve fluctuation of actual currency, inflation or deflation. In the description of how they used past economic data, they wrote: “Dollar values were updated to 2010 USD using GDP deflator”. “2010 USD” (at other times than the year 2010) is an imaginary concept and there is ambiguity, for inflation rate is different with respect to different goods (e.g. gold and petroleum). 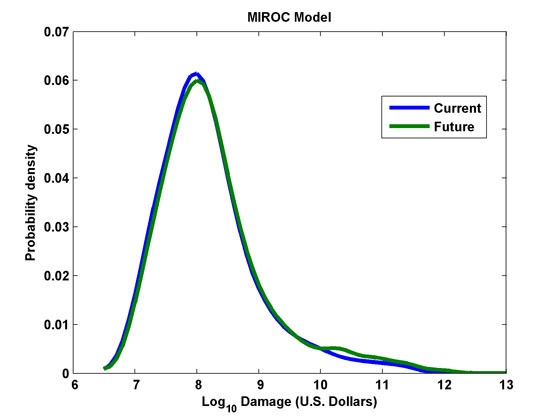 But the results seem relatively more robust using the imaginary concept than using the actual currency. Of course, it is a difficult problem for individuals to know how much dollars then need to keep in order to have a certain amount of “2010 USD” some time in the future.